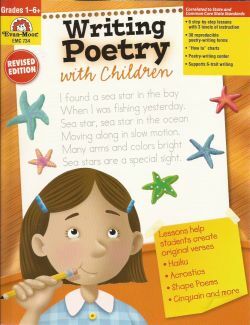 Description: Writing Poetry with Children has everything you need to help children write poetry. -- Level 3: students write independently, following the guides on a "How to" chart and a reproducible step-by-step form. More than 30 reproducible writing forms on which to showcase finished poems are provided. A special section of the book covers lots of interesting ways to display and share student poetry. Brand New Copy. Ships next business day and we email you Delivery Confirmation Number. Expedited Shipping available for faster delivery!